-gnosis of infection with dengue viruses. This test provides only a preliminary test result. 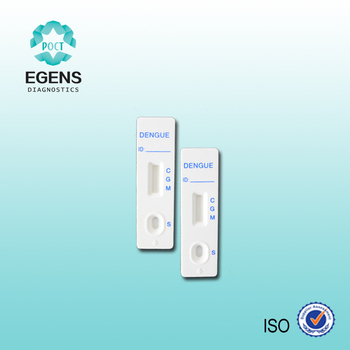 Therefore more specific alternativediagnosis method must be used in order to obtain a confirmation of dengue infection. all of the four serotypes of the dengue virus. 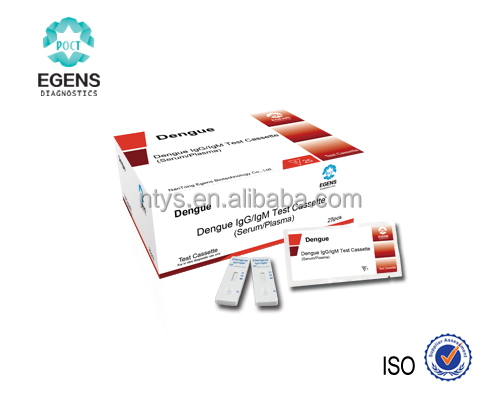 -men will bind to the dengue antibody conjugates. The immunocomplex is then captured on the membrane by the pre-coated rabbit anti-NS1 antibody, forming a burgundy colored T line, indicating a dengue antigen positive test result. Absence of the T line suggests a negative result. The test contains an internal control (C line) which should exhibit a burgundy colored line of the immuneocomplex of goat anti-mouse IgG/mouse IgG-gold conjugate regardless of the presence of colored T line. Otherwise, the test result is invalid and the specimen must be retested with another device. 3.One package insert (instruction for use). For serum or plasma, collect blood into a container without anticoagulant. If the specimens are not immediately tested, they should be stored at 4-8°C for not more than 3 days. Specimens may be frozen at -20°C, but should not be repeatedly frozen and thawed. Clotted specimens or specimens with microbial contamination must not be used. specimen well prior to assay once thawed. Step 2: When ready to test, open the pouch at the notch and remove device. Place the test device on a clean, flat surface. Step 3: Be sure to label the device with specimen’s ID number. Step 4: Fill the pipette with the specimen. Holding the dropper vertically (Reference as the below picture), dispense 1 drop (about 5 µL) of specimen into the sample well making sure that there are no air bubbles. Then add 1 drop (about 50µL) of Sample buffer solution immediately. Step 5: Set up timer. Step 6: Results can be read within 20 minutes. Positive results can be visible in as short as 1 minute. Don’t read result after 25 minutes. To avoid confusion, discard the test device after interpreting the result. Negative:Only the control line is negative. Positive: Both the control line and test line appear. INVALID: Control line absent regardless of other lines indicates, test is invalid and must be repeated. 3. The package of kit should not be opened until it reaches the room temperature if it taken out from the refrigerator. Use the test kit as soon as possible but within 1 hour after removal from pouch specially if the room temperature is more than 30°C and in high humidity environment. 1. 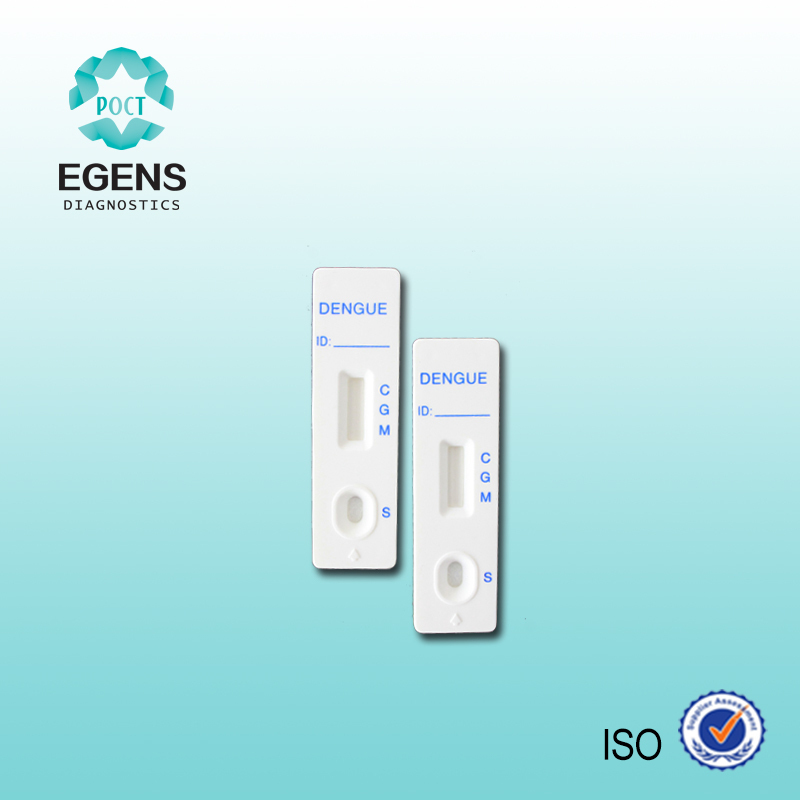 The test procedure, precautions and interpretation of results for the test must be strictly followed. 2. As with all diagnostic tests, the test result must be consistent with clinical findings. 3. Results are to be interpreted within the epidemiological, clinical and therapeutic context. 4. 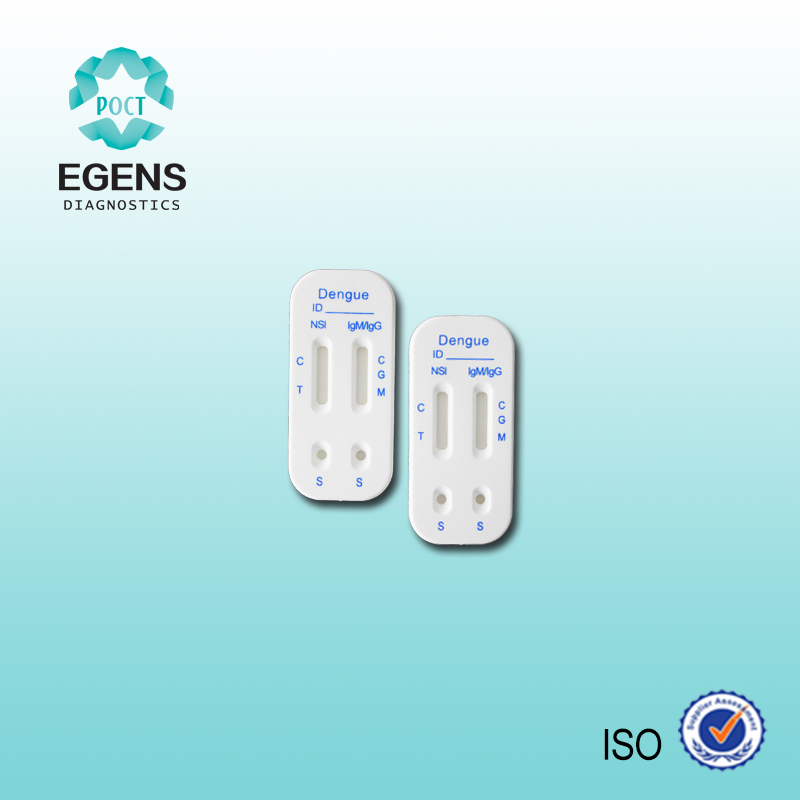 The use of icteric or lipemic samples should be avoided. 5. This test should not be used on specimens from immunosuppressed individuals. 6. Negative results must be confirmed at 20 minutes. 7. Results should not be read after 25 minutes. The test kit can be stored at room temperature (4 to 30°C) in the sealed pouch to the date of expiration. The kit has a shelf life of 24 months from the date of manufacture. 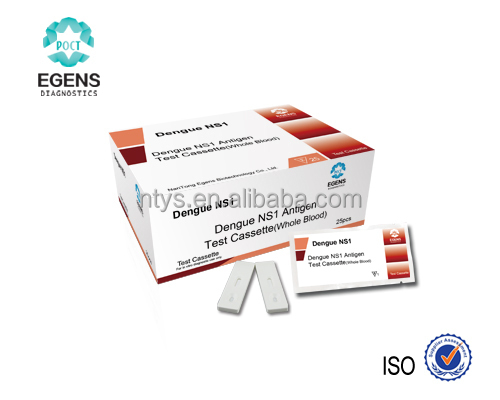 The test kit should be kept away from direct sunlight, moisture and heat.